Timothy A. Miller | Pebble Infotech Pvt. Ltd.
Mr. Miller is a native of St. Petersburg and a third-generation attorney in this community. He earned his Bachelor of Science degree in Journalism from the University of Florida and his Juris Doctorate degree from the University of Florida College of Law in 1979. 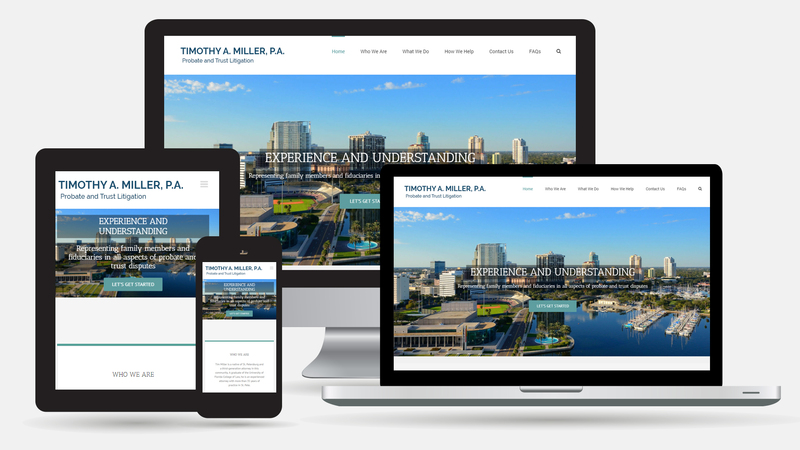 A Florida lawyer since 1979, Mr. Miller is admitted to practice in all Florida courts and in the federal District Court and the U. S. Court of Appeals. Mr. Miller’s trial experience has included prosecuting both criminal cases as an Assistant State Attorney and disciplinary cases for state professional boards. He also litigated complex industrial injury cases statewide. In 2016 he completed the schooling required toward becoming a Florida Supreme Court Certified Mediator in Circuit Civil cases in Florida.